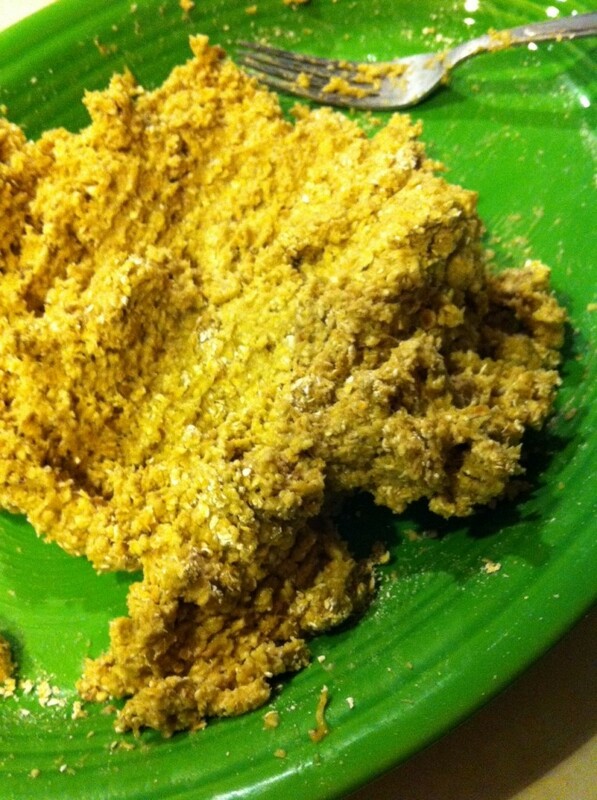 A while back I posted a series of blogs on how to make delicious, affordable organic baby foods. The recipes consisted of soft mashed items and gooey purees, however as Penelope has gotten older her tastes have matured. 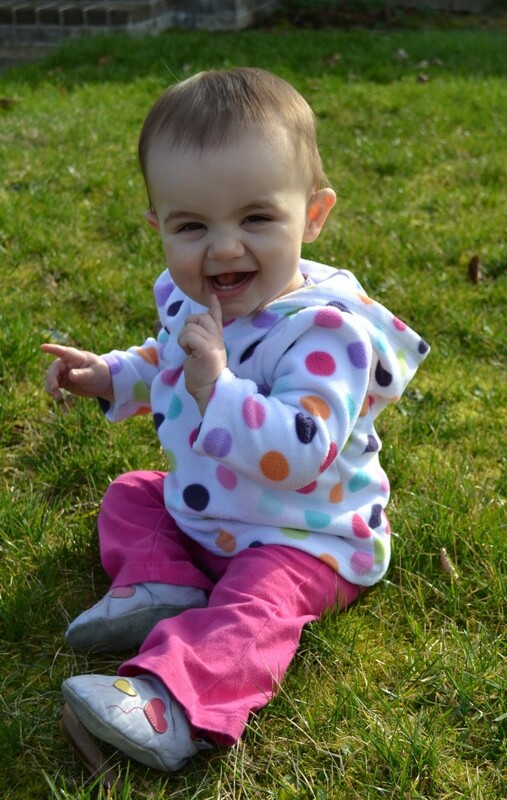 She now has FIVE teeth (!!!) is a walking machine (needing heftier meals to fuel her escapades) and has a pincer grasp that rivals that of a crab. I realized it was time to switch to a heartier form of meals. That’s where this new series comes in! Through several posts I will offer up step by step, picture filled tutorials showing how to make delicious meals and treats for your “advanced” eater. 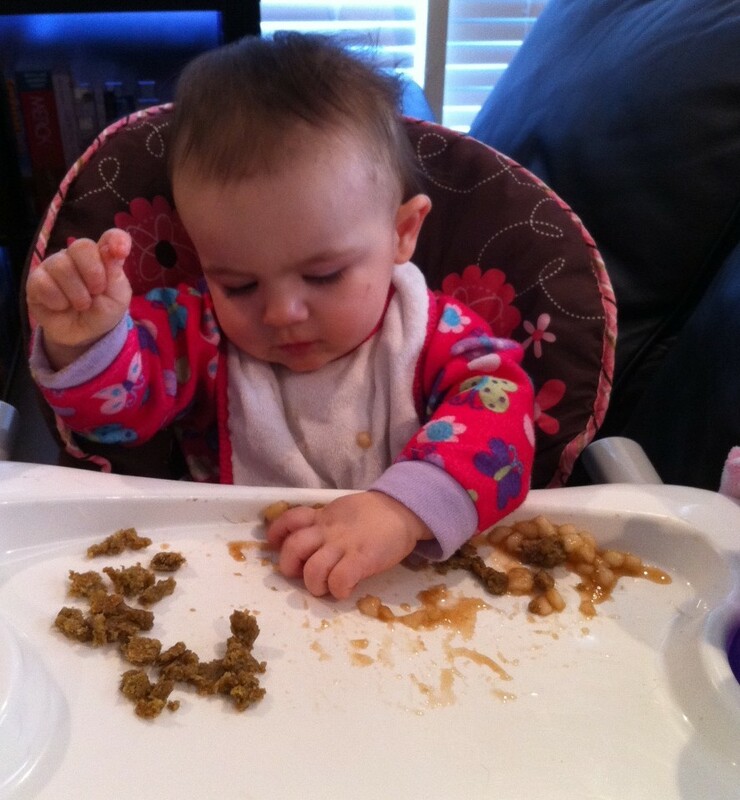 From macaroni and cheese to meatballs and cookies, your little one will be sure to love every morsel- I know mine does! 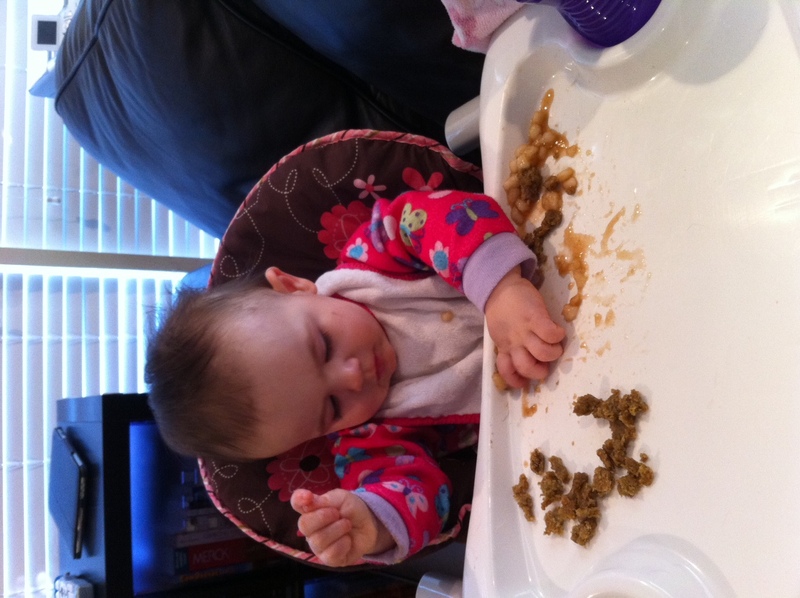 As your baby grows, it is important for them to get the proper nutrition. One area that may be a tough sell is omega 3s. Your little one only has a handful of teeth and is not yet able to enjoy omega filled nuts like almonds, she may not have a taste for fish and if she is anything like Penelope, she will fight you tooth and nail when you try to ease a glob of avacado into her little mouth. 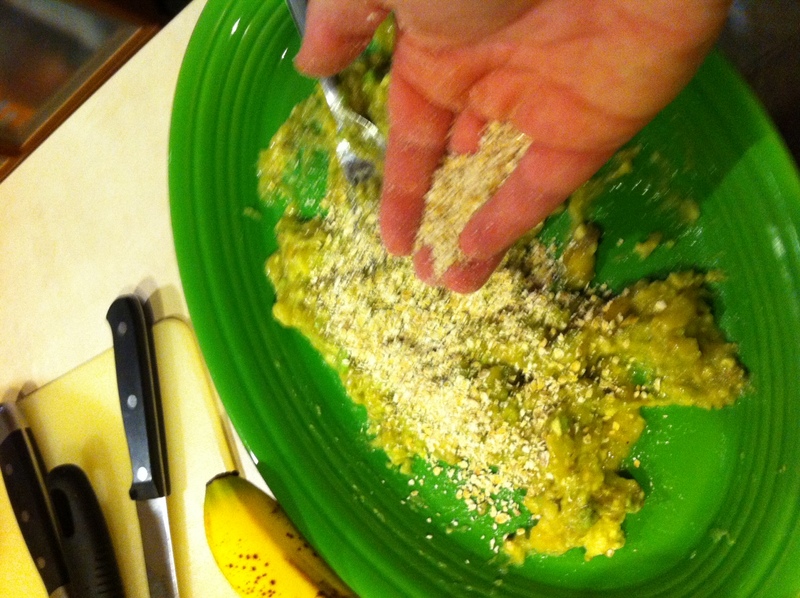 In comes the BananaCado Oat bar. 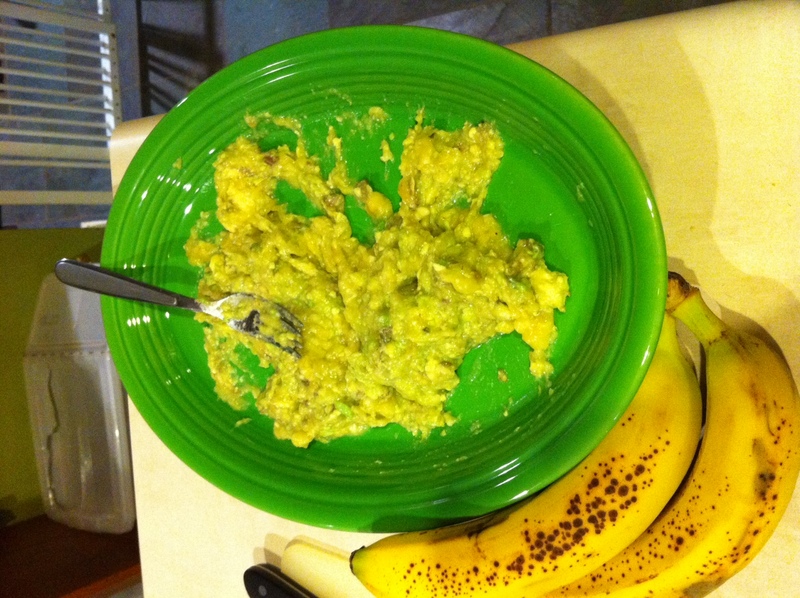 It is a soft, chewy treat that tastes like bananas with the Omega benefits of an avacado. 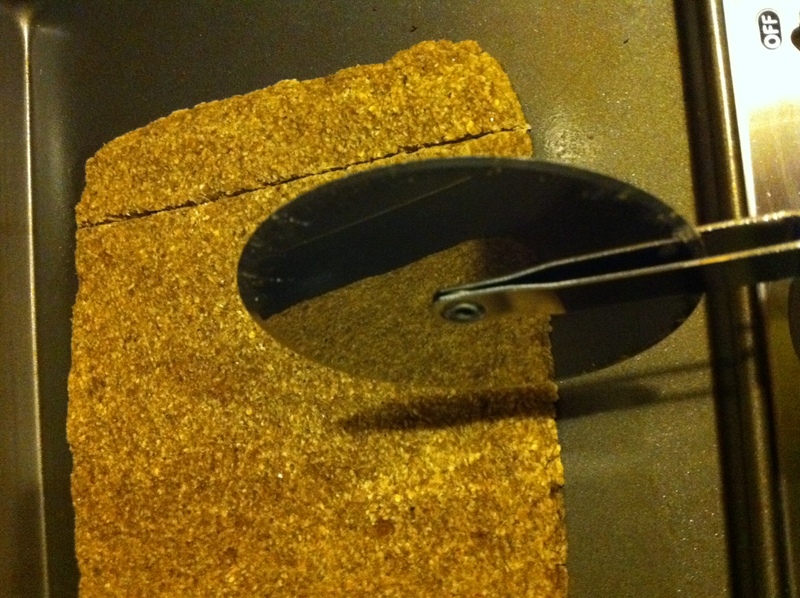 It takes 30 minutes or less to make and freezes well for long term use. 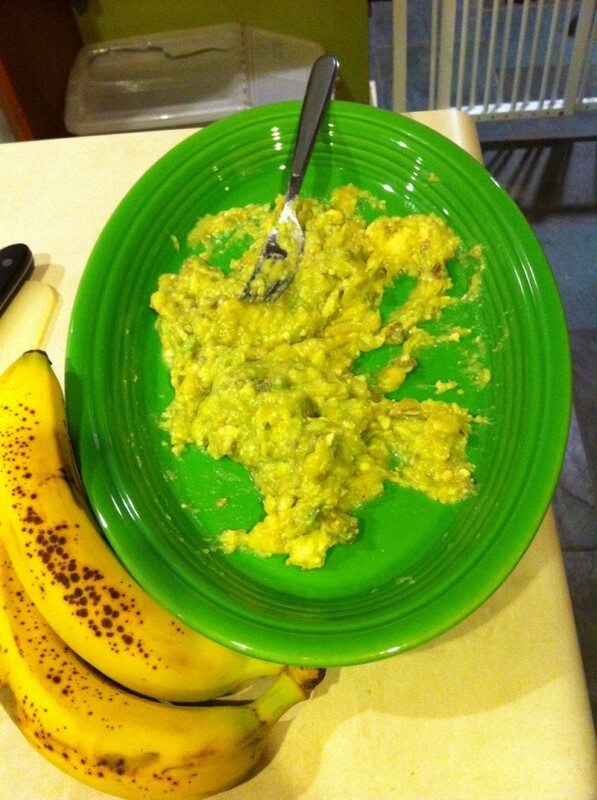 Sure, you could just mix some banana mush and avacado slop together and feed it to your little one, but remember…this series is for the babies that are rebelling against purees and want something they can sink their teeth into! 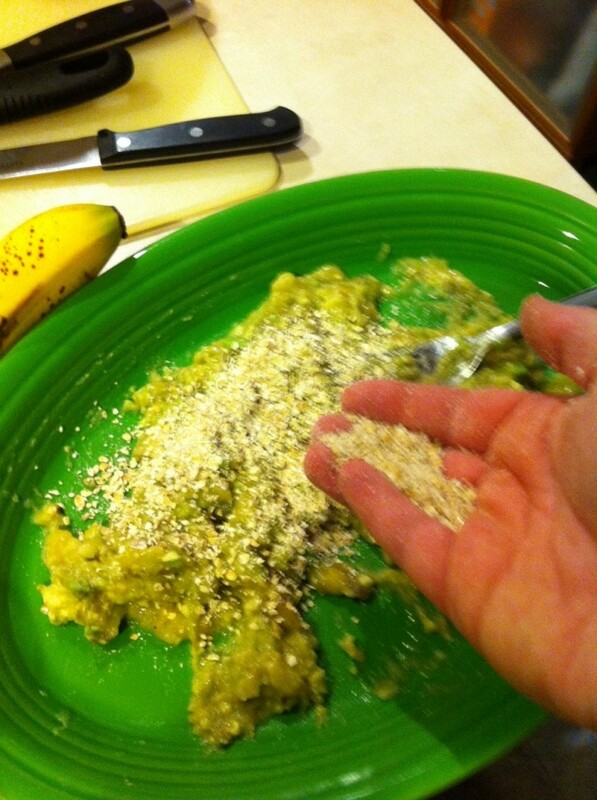 a handful at a time, mix the oats into the “bananacado” mixture. 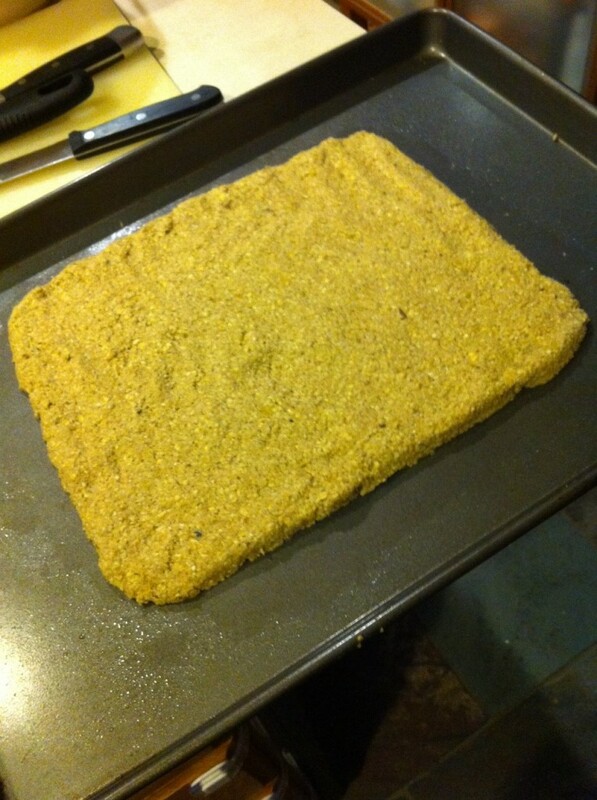 cover a cookie sheet pan with parchment paper or use a non stick pan. 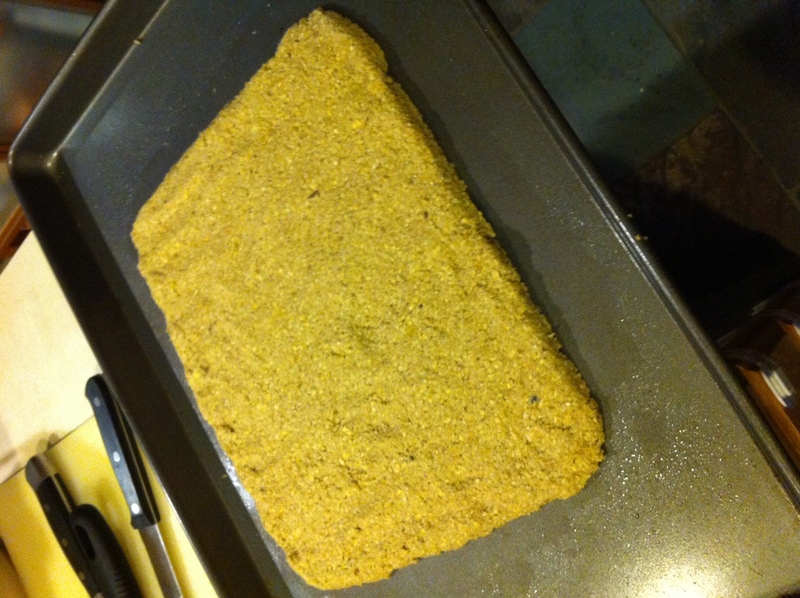 press dough out onto the pan and into a large rectangle shape about 1/4-1/2 ” thick. Cook in your 350 degree oven for 10-15 minutes. Let cool completely. 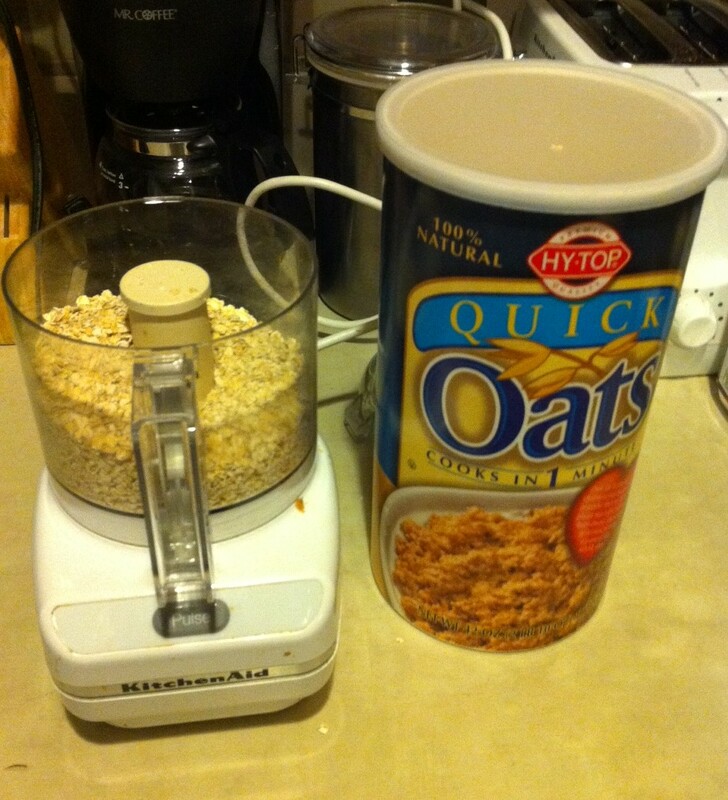 Use a pizza cutter to cut your large rectangle into several granola bar shaped pieces. Store some in the fridge for use up to three days and freeze the rest for up to three months. 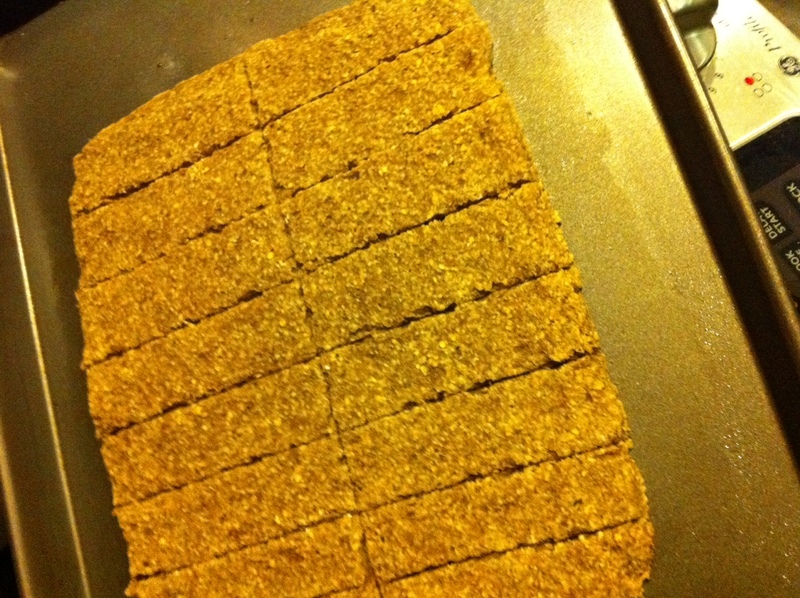 Simply pull the portion of desired frozen bars out of the freezer and let thaw for 30 minutes to an hour before serving. 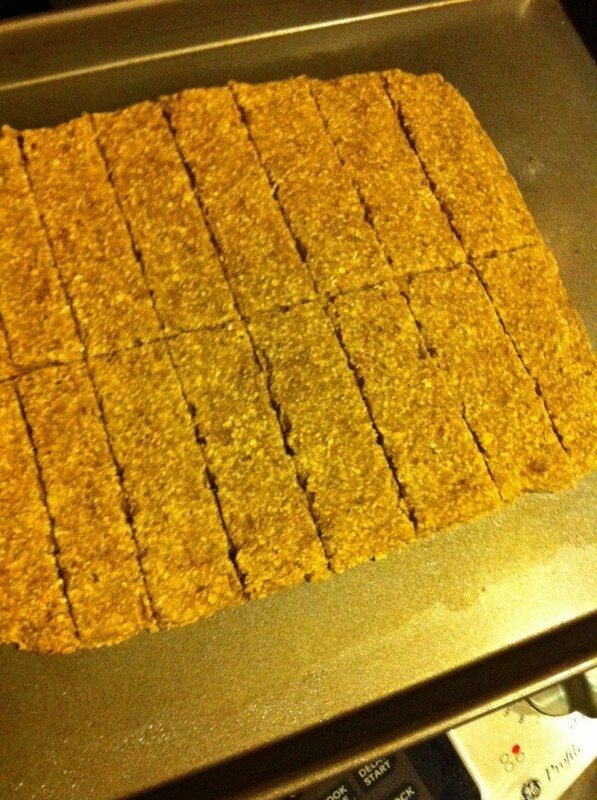 Bars cut up into pea sized pieces and served as breakfast along with pears. 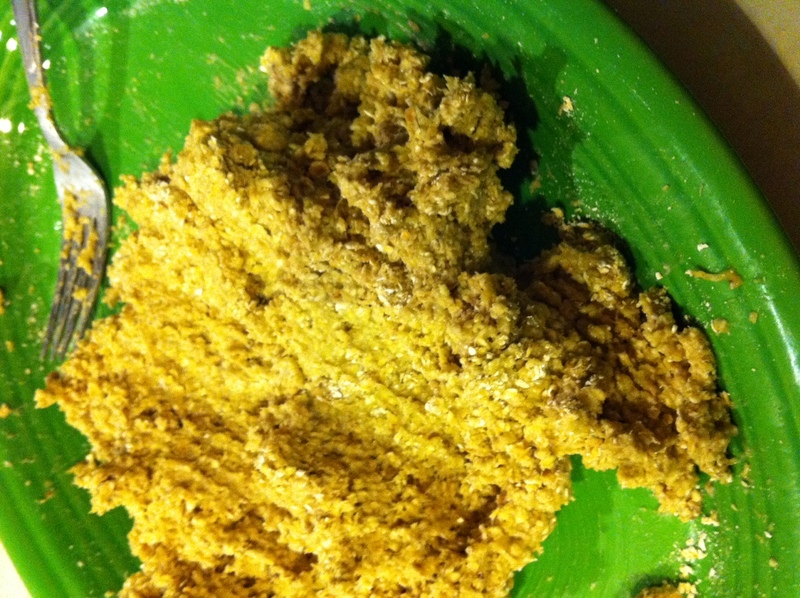 NEXT POST… Cinnamon banana cookies! a fun, sweet variation of the recipe above. 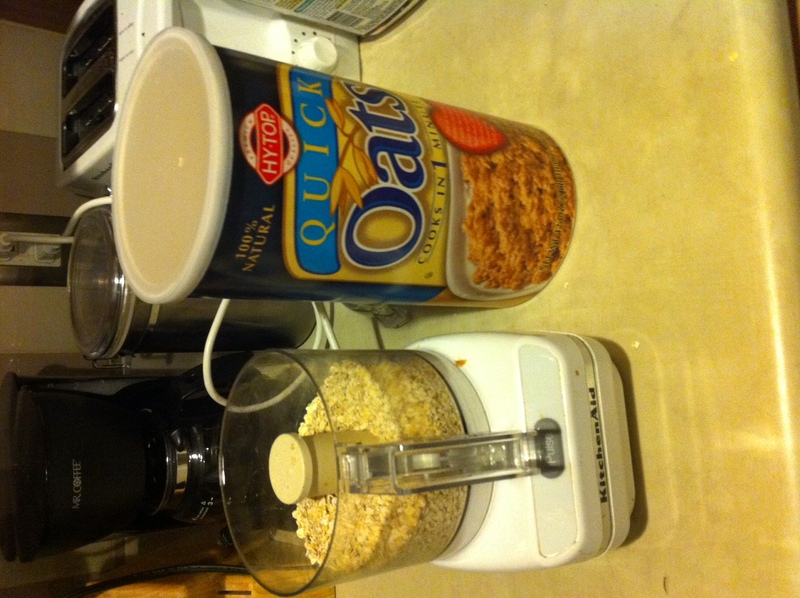 This entry was posted in Baby Food, Cooking, Saving Money.